DeKalb officials and developers stand near First Street and Lincoln Highway, the site of the $7.5 million Cornerstone apartment and commercial use complex. 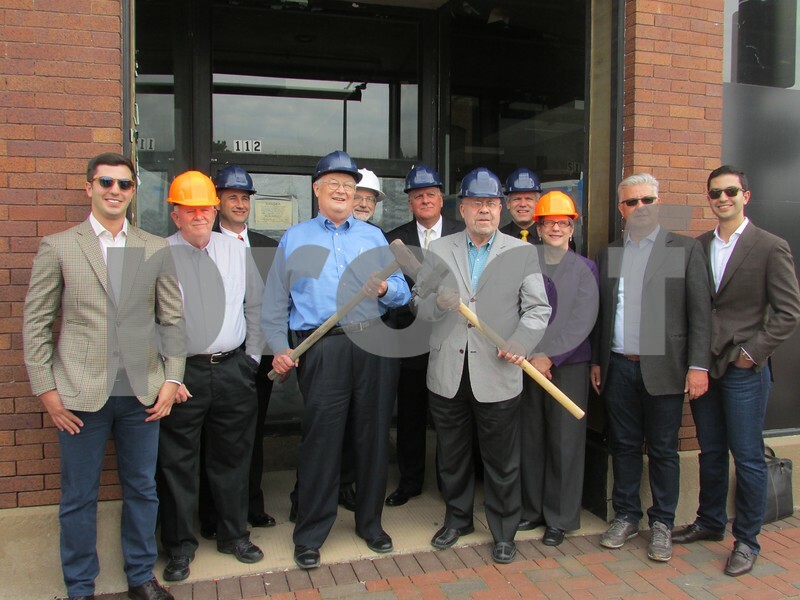 Pictured are Foti Pappas (from left), 2nd Ward Alderman Bill Finucane, 6th Ward Alderman Mike Verbic, Mayor Jerry Smith, former 4th Ward Alderman Bob Snow, 4th Ward Alderman Patrick Fagan, former Mayor John Rey, 7th Ward Alderman Tony Faivre, 5th Ward Alderwoman Kate Noreiko, John Pappas and Spiro Pappas. John Pappas, the principal developer, said demolition for the project is expected to begin sometime this month.